Good job on the food pictures :) I think this is your best yet! Mmmm this sounds so yummy right now :) Beautiful photography! I want a sip right now--my secret is I am a vanilla lover--so mayber I should try it without the chocolate. Just stopping in from Christmas in the Country. I love this! 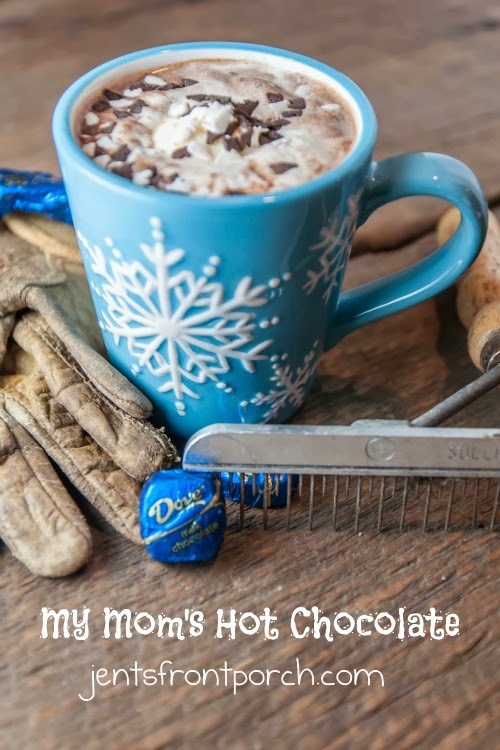 And if hot chocolate and scotch combs don't go together like peas and carrots! !